This summer, the director’s chair at the Metropolitan Museum of Art will finally be filled. 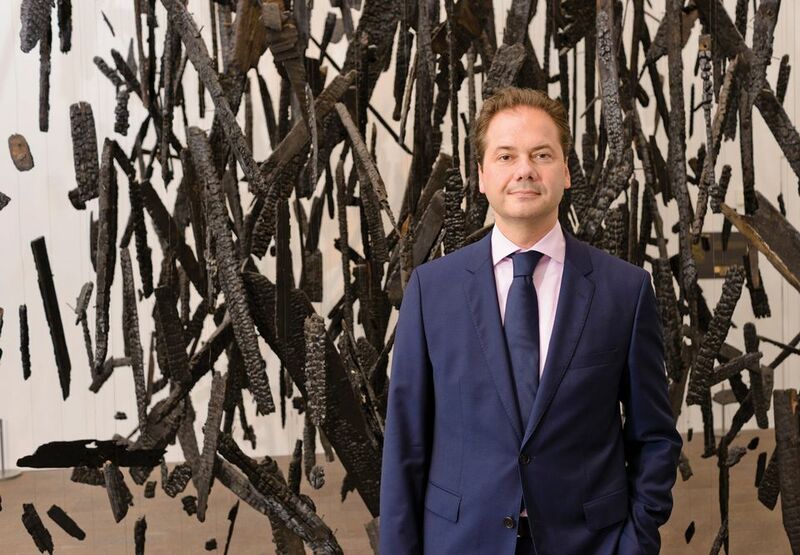 Thirteen months after Thomas Campbell stepped down, Max Hollein will become the tenth director of the New York institution. Unlike Campbell, a Met tapestry curator who was a surprise choice in 2008, Austrian-born Hollein is an outsider but a seasoned leader. At 48, with 17 years of experience running major museums in Germany and the US, he beat more than 100 international candidates to the post. The largest search committee in the museum’s history (with 19 members) met more than 25 times, as the Met emerged from months of reports of financial mismanagement and staff discontent during Campbell’s tenure. There was also speculation that a shift in hierarchy would deter the best applicants. The board gave the museum’s president Daniel Weiss the title of chief executive last June, so the director will now report to him for administrative decisions. The son of the postmodernist architect Hans Hollein, Max grew up in Vienna immersed in art. But an interest in economics that was “completely atypical of my family” led him to combine his art history studies with “the driest subjects”, he told Die Zeit newspaper in 2002. After stints in advertising and journalism, his internship in 1992 at the Solomon R. Guggenheim Museum in New York was “the right place at the right time”, he said. He already knew the museum’s expansionist director, Thomas Krens, through his father, who had designed an unrealised Guggenheim branch for Salzburg. In 1996, Hollein became Krens’s executive assistant, plunged into negotiations for other multimillion-dollar outposts, including Bilbao, Berlin and Las Vegas. Hollein seized his chance in 2001, aged 31, accepting an invitation from the city of Frankfurt to turn around the ailing Schirn Kunsthalle. “He was unique if you compared him to other directors of German museums,” says Felix Semmelroth, the city’s former head of cultural affairs. Hollein’s focus on museum management, as much as on art, “was new, and what the Schirn at the time needed”. Early suspicions were quickly dispelled, says the Schirn’s deputy director, Inka Drögemüller, whom Hollein hired. “He really won people over by the quality of what he was doing”, engaging prestigious partners and devising original, popular exhibitions without having a collection to trade on for loans, she says. Shopping: a Century of Art and Consumer Culture, organised in 2002 with Tate Liverpool, explored the crossover between commerce and creativity. In that spirit, Hollein convinced its sponsor, a local department store, to finance and install huge billboards by Barbara Kruger on its facade with the slogan: “You want it, you buy it, you forget it”. The store put the Schirn logo on its shopping bags and distributed leaflets advertising the show. In 2006, Hollein was appointed to lead the venerable Städel Museum and the Liebieghaus sculpture collection, in addition to the Schirn. At Germany’s oldest museum foundation, Hollein put his powers of persuasion to the test. He raised more than 80% of the Städel’s budget privately, the inverse of the country’s major state-backed museums. As a leading banking centre, “Frankfurt is a good place for fundraising”, Drögemüller says, but it was “totally unusual” to find a German museum director with such a taste for it. His crowning campaign began in 2009 for the €52m renovation and expansion of the Städel, including a €34m annex for contemporary art, completed in 2012. Half the money came from private sources. In a museum better known for Old Master paintings, Hollein also built a collection for the new wing via corporate channels, securing permanent loans of 600 works from Deutsche Bank and 220 photographs from DZ Bank in 2008. These successes earned him an invitation to the Bizot Group of top international museum directors, which later elected him as chairman. “For somebody of his youth to be respected enough by his peers to be selected for that is an incredible mark of leadership,” says Michael Govan, the director of the Los Angeles County Museum of Art. Over the years, Hollein also received job offers from major museums in Berlin, Vienna and the Netherlands, Semmelroth says, and in 2013 he was tipped for the directorship of the Centre Pompidou in Paris. His move from Europe to San Francisco in June 2016 surprised some, Drögemüller says, but “he was looking for a big challenge and he took it”. He arrived during a turbulent period for the city’s Fine Arts Museums. The state attorney general’s office had launched an investigation into alleged financial misconduct by the president of the board and chief executive, Diane “Dede” Wilsey (although none was found). Hollein was made chief executive in September after a series of changes to the museum’s management structure. He balanced the budget of the San Francisco institution by the end of the 2017 fiscal year, turning around a history of operating deficits. This would undoubtedly be attractive to the Met, which cut around 90 employees in 2016 to reduce its own deficit ($8m at the end of that fiscal year). In March, it introduced mandatory admission fees for non-New Yorkers, a controversial move that Hollein says he supports.